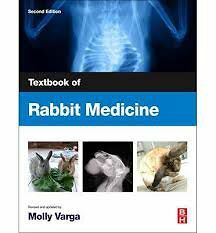 The new Textbook of Rabbit Medicine draws on the latest information from around the world to make it a truly global resource on all aspects of rabbit medicine and health. It will continue to be indispensable to veterinary surgeons in general practice, veterinary students, referral veterinarians specializing in exotic pets, and veterinary surgeons studying for certificates in advanced veterinary practice. The book is carefully constructed to allow for the biology, husbandry and clinical techniques that pertain to rabbit medicine to be treated comprehensively and conveniently. Clinical chapters follow a logical progression from clinical pathology, through anaesthesia, therapeutics and diseases covered by body system, to surgery and post-mortem examination.The author offers a strong emphasis on clinical practice to ensure the content is as practically useful and accessible as possible. Key points boxes integrated throughout the book provide a stand-alone précis of important subjects. New clinical techniques boxes are packed with tips from a practising expert who regularly applies this same information in practice.